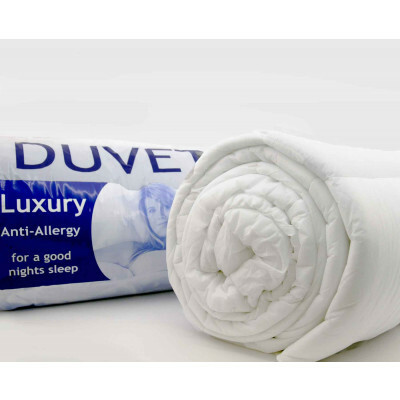 Wrap yourself in cosiness with our high quality corovin cased synthetic duvets. Corovin covers are highly breathable and furnish high vapour permeability, allowing your body to remain cool and dry during hot summers. Crammed with 100% polyester hollow fibre bestows snugly warmth and comfort that you have always longed for. Our luxurious synthetic duvet with tog 4.5 will offer you incessant soothing and serene sleep during hot weather. Available in single, double and king size, our fabulous range of synthetic duvet will assure you superb comfort and pleasurable warmth.